A Palestinian fisherman died Wednesday after he was shot at by Egyptian naval forces, which opened fire on the fishing trawler on the Mediterranean. 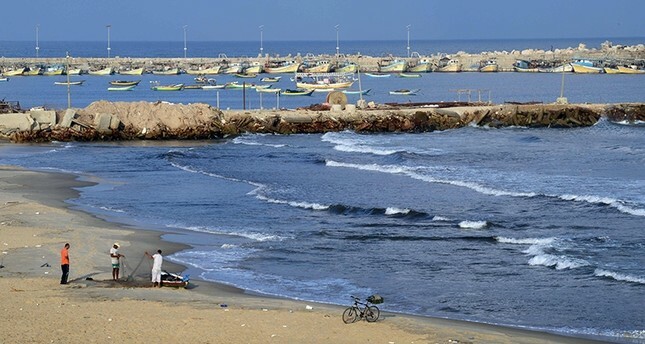 Mustafa Abu Awda, 32, from the Shatti refugee camp, died shortly after being brought on the beach at Rafah, southern city of Gaza Strip, according to the Palestinian fishermen Union. 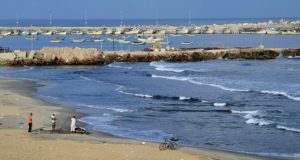 He was shot at in the Mediterranean after the Egyptian naval forces took aim at their boat with fire as the vessel carrying Palestinian fishermen neared the border with Egypt. There was no confirmation whether the boat crossed the maritime border with Egypt but the most populous Arab country’s forces regularly open fire on Palestinian boats that they accuse of crossing into Egyptian waters. Palestinian fishermen in the enclave have been restricted to go far at sea by Israeli forces that reduced the permissible zone from nine to six nautical miles in response to mounting Palestinian protests. Posted by KanelkaTagba on Nov 8 2018. Filed under Headlines, World News. You can follow any responses to this entry through the RSS 2.0. Both comments and pings are currently closed.